Debt problems can have a negative effect on a couple's relationship. When couples move in together, they don't just arrive with clothes and belongings, they also bring their debt. If you and your spouse struggle with credit-card balances or unpaid loans, it's time to sit down and sort out your debt together. 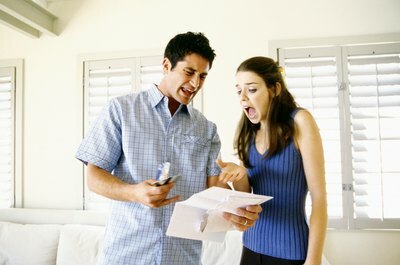 According to SmartMoney.com, 37 percent of arguments between spouses is about debt. Address this issue early in a relationship and set a good pattern for a happier marriage and more stable financial future. Sort debt statements according to secured and unsecured credit, then organize it according to interest rate and payment. Secured debt includes loans or lines of credit against something of value, such as a home, car, or investments. Lenders can sell the property if you default on your payments, but this lower risk also means lower interest rates for borrowers. Unsecured debts include credit-card balances, which will likely be the debt with the highest interest rate you have. Before rolling up your sleeves to tackle family debt, make a list of goals for sorting out your credit cards, loans and lines of credit. Goals may include reducing interest rates, lowering or simplifying monthly payments and paying debt off faster. Recognize that lowering monthly payments in the short term may mean extending the loan over a longer period of time, which increases your total interest costs in the long term. As a couple, brainstorm possible solutions for each of your goals. Record the pros and cons for each solution. For example, consolidating higher-rate credit cards onto low-interest home-equity lines of credit reduces the interest rate and provides some tax breaks, but you can lose your house if you don't maintain the payments. Get help with possible solutions from your banker or financial planner if required. Call your credit-card companies or bank to request a lower rate, consolidate debt or apply for a home-equity line of credit. Let them know you are interested in re-organizing all your debt. 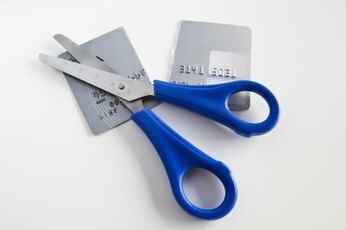 If you have good credit they may offer to reduce your rate and increase your limit so you can consolidate with them instead of their competitor. 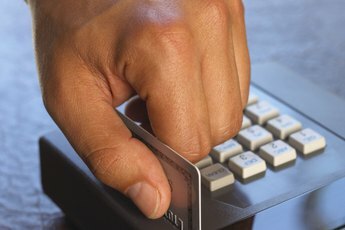 Only accept the increase if you plan to use this credit account to consolidate higher-interest-rate debt, and close the other account immediately. As the IRS now accepts electronic receipts and documents, get rid of old paper statements (except final payment statements to show you've paid off a debt) as long as the past seven years are available from your credit provider or online. Pay off non-tax-deductible debt as fast as possible. While compounding interest over a long time period is great for investments, it can add hundreds or thousands of dollars to family debt over the years.